Four Drills to Build Powerful Kicks! A FREE kicking course is bundled into the Matrix Karate Course. Here’s the Matrix Karate Course. Get it here for half price. 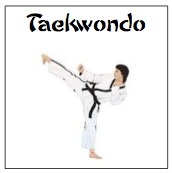 i just love this art so i will like to thanks all those that put this art on net,taekwondo is the best art that i alpha know to be i love it and i want you people to give me more knownledge and information on this website so that i can learn from your please.